May 2019 be a year filled with time for family, friends, creativity and exploration. Please join us Friday May 4th and Saturday May 5th, 2018 at the beautiful Jimtown Store in Healdsburg, Alexander a Valley, California. SF Bay Makers and Jimtown Friends will show a variety of thoughtfully made clothes, jewelry, home goods, foods and wines. 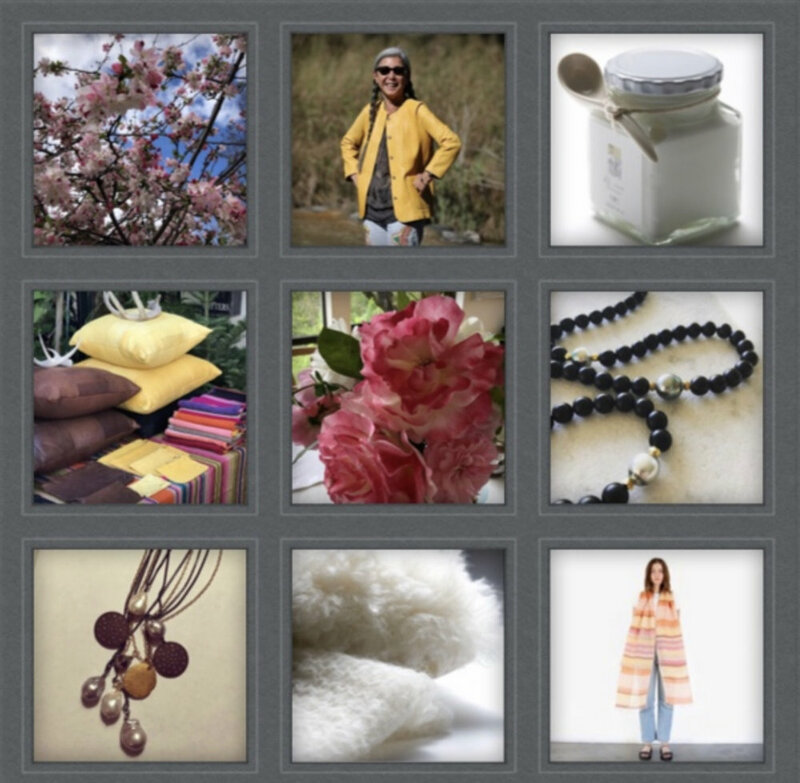 We look forward to sharing our love for the well made, thoughtfully crafted and carefully produced sustainable leather jackets, organic, locally made cotton and linen clothes, handmade jewelry, handpicked and handmade lavender luxury items, locally grown wine and food and much more. Don’t miss this! Four years ago amazing twin sisters Wati Grossman and Yanti Amos featured me on their blog www.doublevisiontwinsblog.com I can’t believe how fast time flies. Peace à Porter joined an amazing and talented group of designers and artisans, San Francisco Bay Makers. Our first show this year was hosted by Engel and Volkers in San Anselmo. It was a great success; we welcomed our loyal customers along with many new ones in the sunlit corner shop of EV and EV Wine Lounge. 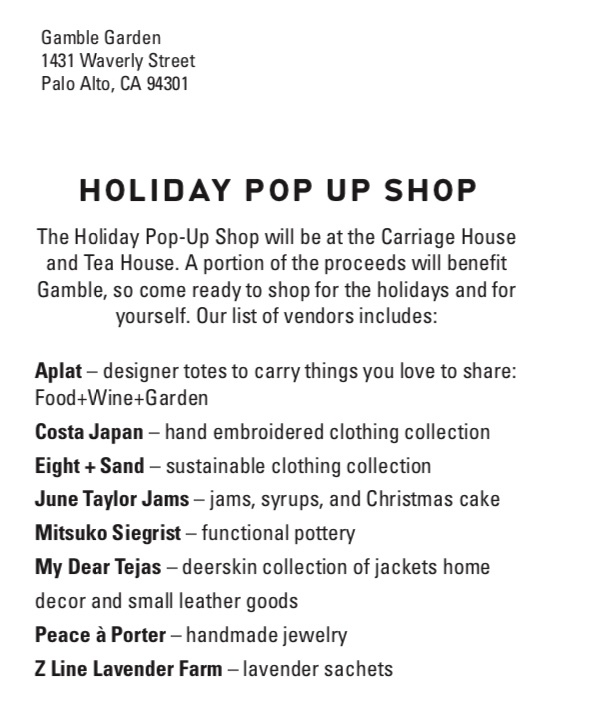 Susan Kim of My Dear Tejas leather jackets (formerly Workshop, Sausalito) and Vas Kiniris of Zinc Details have invited a group of talented designers and creatives to show their goods at an amazing Holiday Market at Zinc Details next weekend. Please join us.